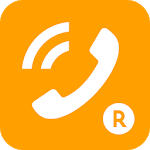 Rakuten phone is call app that can save the smartphone of call charge using the phone line number as it is. · Basic monthly charge ¥ 0! Deferred payment by the amount you use! Furthermore minimum usage period No! · Call quality intact quality when subjected to normal phone! 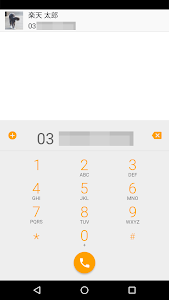 · Your 090/080/070 number is displayed on the other party to put as it is a phone call now! • The call to about Rakuten Super Point accumulate! By putting automatically 0037-68- to when sending and can call in via telephone line Rakuten Communications of Rakuten Group, call charges anywhere over 10 yen / 30 seconds of domestic and (excluding tax) in half ※, international phone will be 32 countries uniformly 10 yen / 30 seconds (tax-free). 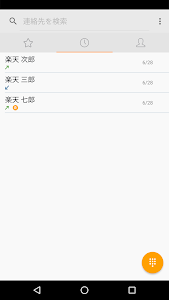 ■ LINE phone and what is different and Skype? In the case of free calls app, each other must install the app. air will sink in use in truly business scene in close relationship For example. 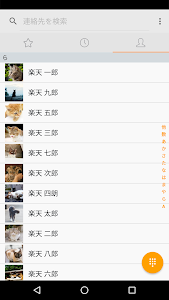 You can easily find comfort phone, and to install the app only those who make a phone call! It can also also be available at ease those who receive those who put because your number is notified directly to the opponent! ■ What 's use Rakuten phone? ① you want to use registration of optimism phone. → can be registered in a simple one minute if Rakuten member! 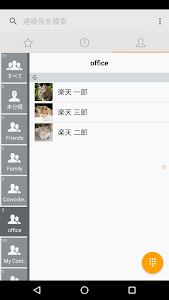 ② Rakuten phone app Download! 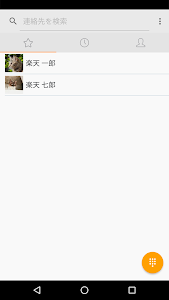 ③ use start to have done the initial setup! You can as well call in if multiplied to the other party of the number 30 seconds 10 yen (excluding tax) and when you phone in everyday smartphone! ■ New features of optimism phone! ! - 110, 119, such as emergency phone numbers, you can not originate in the part of the number, such as 0120. Please check the Terms and Conditions for Use of the application.